Beech wood rings with individually adjustable band for each ring. Strong lockable chain fastener with leather coated protective arch. In raised position, the chain is stored in a built-in holder that is included. 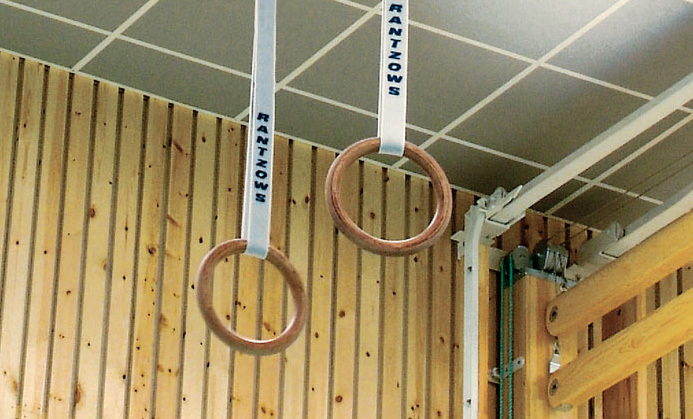 An easy to use system that allows the rings to be stored in the ceiling space when not in use. In the raised position, the chain is stored in a built-in holder (included). Max. ceiling height varies dependant on product, see below for further information. 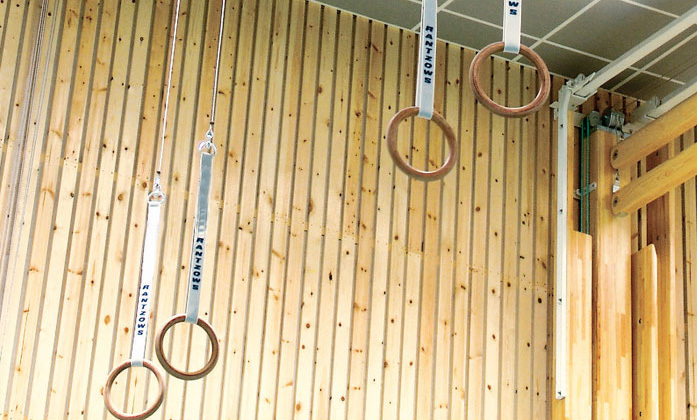 Trapeze “Marie” - Fastens to the Roman rings to create a new piece of equipment.